looking for riparian buffer zone legislation! So far, ecological research on riparian zones (the land next to rivers, streams and lakes) gives a lot of different recommendations for management of these areas – a real challenge for setting up good environmental policies! One of the most important guidelines refers to the width of riparian buffer zones. These are the corridors of natural habitat that are protected along rivers. They are crucial for maintaining water quality and biodiversity within the water and on the river banks. However, the required width for riparian buffer zones, which you’d think might be simple to specify, is pretty tricky to pin down. River with healthy riparian buffer! In spite of this, lot of countries do have pretty good legislation on how wide riparian buffers should be. As I’ve been talking to more people about my PhD research on riparian zones in oil palm plantations, and their role in biodiversity conservation, its become clear that there is quite a lot of variation in what different countries require by law. I’m really interested in finding out how well the laws in place in different countries match up to the ecological recommendations. In particular, I’m looking for a description of how many meters of natural habitat have to be kept by the side of water bodies (rivers, lakes, or streams) – in the UK, for example, we only have to have 20m of vegetation on each side of a river (http://www.forestry.gov.uk/fr/INFD-6MVK4U). 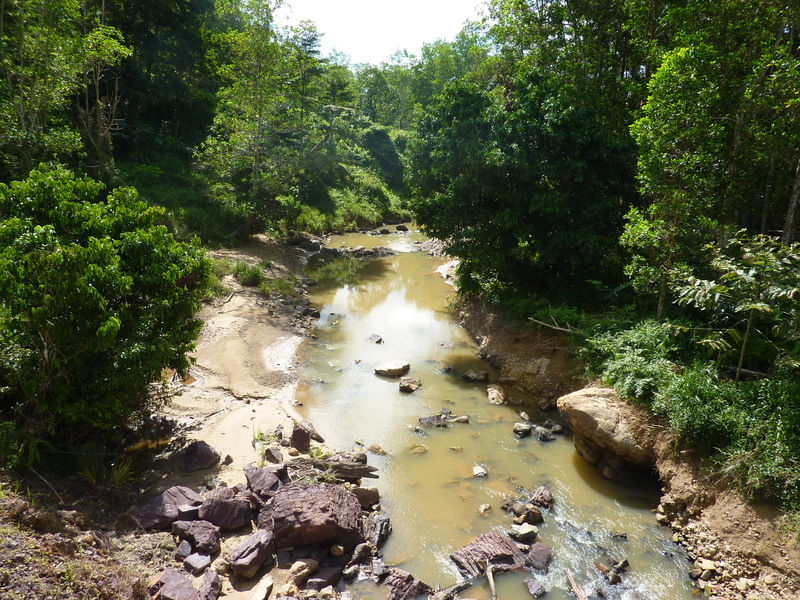 Where I was working in malaysia for my PhD, the requirement varies between 5 and 50 m depending on the width of the river. Theres lots of countries that it is hard to find the legislation for, so I’m now looking for help! If you know where to find these requirements for your country, or the place where you do your research, and you might be able to help out, that would be great! Either comment on this blog below or email me.